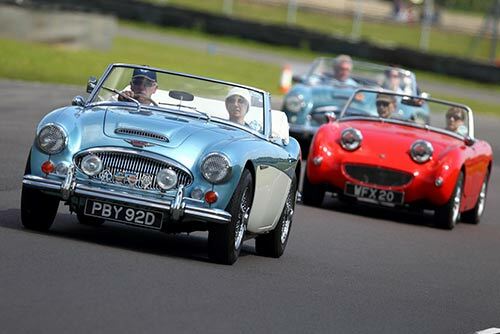 Castle Combe Circuit is again inviting motoring clubs and enthusiasts to celebrate the best of classic and retro motoring at its annual Classic & Retro Action Day on Saturday 28th June. 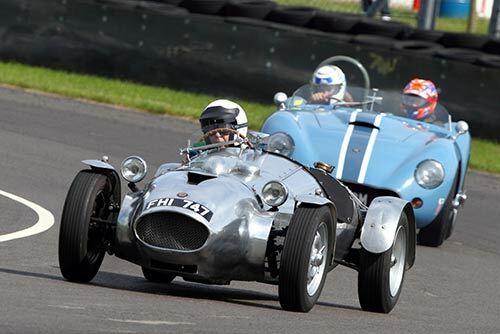 The 1.85 mile long circuit, situated in Chippenham, Wiltshire, will host various ‘themed’ track sessions to suit different eras and speeds – fast and erm, not so fast but guaranteed fun all round! Last year over 65 classic and retro motoring clubs, from traditional British classics to the more ‘retro’ racers, joined in the fun – both static and in motion. This year’s event is proving to be even more popular than last with bookings opening earlier to accommodate the demand and 30% of slots already taken. Clubs are offered various packages to attend including the chance to bring up to ten display cars for free, regardless of if they use the circuit or not. Which makes it a fantastic opportunity for clubs to attract new members. Each package has been designed in line with feedback gathered from many owners clubs from previous events. There are packages to suit all clubs whatever their membership size – those clubs wishing to bring 20 cars are offered space from as little as £100 while a 40-strong club display would cost just £240 (£6 per car). This action packed day is one that many owners clubs will be adding to their events diary, some using it as the venue and occasion to celebrate special motoring anniversaries whilst others are looking at running it in conjunction with their AGM. Track sessions are divided into themes by age and will include pre-1960s, pre-1970s, pre 1980s and pre 1990s. Drivers can enjoy a fast paced track session, a gentler parade lap with or without a pace car or a leisurely lunchtime classic cruise. Even Vintage Buses will be taking to the track offering passenger rides around the circuit demonstrating there really is track action for everyone at the Castle Combe Classic and Retro Action Day. Off the circuit, there will be family fun with classic games and entertainment as well as time to browse the trader village, offering classic motoring parts and spares, services and memorabilia. Visitors can also enjoy a traditional afternoon tea and local fare.